Come by and visit Eagle Equipment at the 16th annual Good Guys Southeast National Car Show. The show will be held from Oct 30th through Nov 1st at the Lowe’s Motor Speedway in Charlotte, NC. Eagle Equipment will be in Booth #40 so come by for show specials. Ask for Andy! 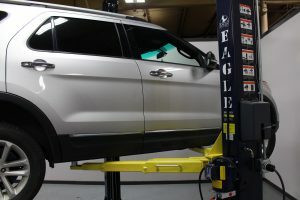 Here are some tips to help you have a good experience when buying a car lift. Be sure when you call the auto lift company that a person answers the phone. Call Customer Service which might be a different line from the sales line. Look for Customer Services’ phone number in the car lift manual which should be emailed to you or found on the vendor’s website. Be sure you can get in touch with someone if you have questions or problems prior to buying the product. Does the supplier have a customer service department as a part of their company or are they sending you to a 3rd party company? Ask the lift company for a total price including exact (not estimated) freight. Compare total prices between vendors not just the lift price. Ask for an exact ship date and a delivery date (not estimated dates). Lift companies should be able to provide you this information. Check https://www.ripoffreport.com to check on the company. Eagle Equipment has 7 product specialists to answer the phones so call us and you can talk to a person. We can provide you with exact shipping costs and the total price for the product. We have our own customer service department to handle post sale questions.